SamuiBus.com | Book transfer Nathon bus terminal in just a few minutes! All coaches leave from the Nathon bus terminal on the west coast of Koh Samui to Bangkok’s southern bus terminal. Both VIP and economy class buses are available and are air-conditioned. 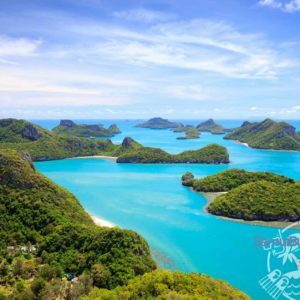 Your journey from Koh Samui to Bangkok begins with hotel transfer to the Nathon bus terminal up to 1 hour prior to departure time. The coach service to Bangkok starts with a short trip to the car ferry (Seatran in Nathon or Raja in Lipa Noi, depending on bus company). There you will disembark for the ferry crossing to Donsak which takes around 90 minutes (included in the cost of the ticket). 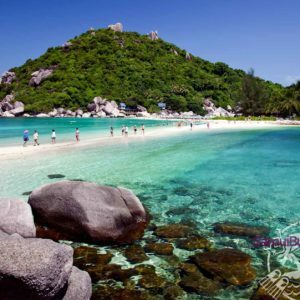 In Donsak you will meet back up with the coach after it has come off the ferry and you’ll be on your way to Bangkok. Get from the Nathon bus terminal to the hotel and back will be so easy if you will think about it in advance. Just book Transfer service!